Would you believe that on a list of the 25 most dangerous drugs published earlier this month an illegal narcotic doesn’t show up until 10th place? And the number one most dangerous drug? A simple pain medication that doesn’t need a prescription (or an introduction) – acetaminophen. That’s right. 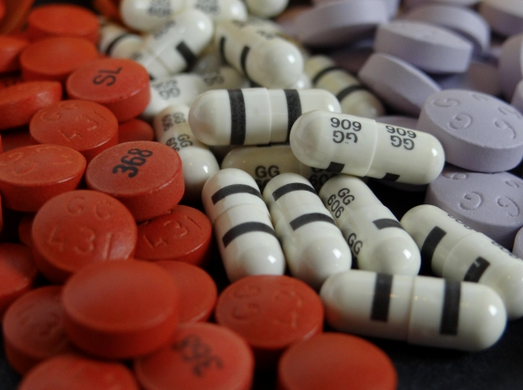 The pain medication commonly known as Tylenol placed first, while cocaine placed 10th. Cocaine didn’t place far ahead of common cough medicines, which came 12th as a group. A U.S. media outlet determined the 25 most dangerous drugs and drug mixtures based on side effects and death rates from overuse and misuse, as tracked by American health agencies. Medications don’t have to be available only by prescription, or even be controlled substances, to pose significant health risks. And there are far more people who are on a steady diet of painkillers and other legal medications than are dosing with cocaine. The issue is that people can become dependent on a medication, whether legal or illegal, whether available by prescription or over-the-counter. Dependence can lead to overuse and misuse, with harmful side effects. The risks rise when people start mixing medications with others or with alcohol. Consequences range from inconvenient to deadly. Why did acetaminophen top the list? Because it can be deadly when taken in excess, combined with alcohol, or taken with other medications that already contain it. Heavy reliance over the long term can lead to liver damage, liver toxicity, and death. A Health Canada report in 2015 found that there are about 4,000 hospitalizations a year in this country due to acetaminophen overdoses. This epidemic shouldn’t come as a surprise – we’ve covered the subject a couple times before. It’s a chronic problem in our society. And it’s not just acetaminophen that’s a problem. We are the world’s second-largest per capita consumer of opioids behind the U.S. The trend is most prevalent in Ontario – the biggest per-capita user of prescription painkillers in the country. In 2015, Ontario doctors wrote 8.1 million prescriptions for opioids, enough for nearly every person between the ages of 15 and 64 in the province, according to figures compiled last spring for The Globe and Mail by health services company IMS Brogan. Which is the message we patiently and endlessly work to spread. We have patients for whom taking eight to 12 Advil a day is nothing unusual. This is not normal and should never be considered so. Chronic pain of any kind has a cause. Pills don’t treat the cause. For true relief, you have to identify and address the source of your pain. This is particularly true of chronic back and neck pain. Whatever the cause, it is likely to only worsen over time. If you rely on pain medications you will find yourself having to take more aggressive forms, more often, to get the same degree of relief. That’s because the source of the pain – whether it’s arthritis, a herniated disc, forward head posture, or something else – is getting worse. It’s like the wobble you feel through the steering wheel when your car is out of alignment. If you ignore it, it will only get worse, wearing your tires faster, eroding fuel efficiency, and making it easier to lose control. Don’t consign yourself to a downward spiral of greater pain, dependence on more harmful medications, lost mobility, and poorer quality of life. Find out what is causing your pain and what can be done about it. Chiropractic may help if the source of your pain can be traced to misalignments in your spine (subluxations). We have no shortage of patient stories to prove it. So, come talk to us about your pain and let’s see what can be done about it.